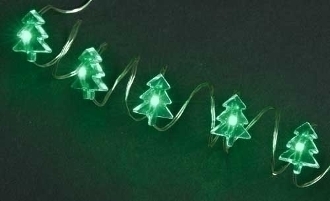 Dimensions: 10' Wire with 25 LEDS. Battery Operated Lights to decorate your mini fairy garden with, Mix and match colors to create a beautiful display! String the lights on buildings and trees for a festive look!